Best price new Peugeot – secure maximum discount on any brand new Peugeot without having to shop around or negotiate yourself. 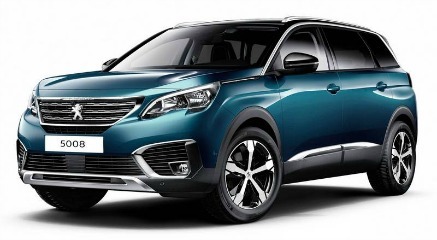 Be it the new Peugeot 208, 2008, 308, 3008, 508 or 5008 – Any New Car will ensure you have the opportunity to buy a new Peugeot at the absolute best price. Buying a new Peugeot with Any New Car means getting the best price, and the highest level of service without you having to get involved with salespeople in the negotiation process. Yes. We’ll also ensure that you achieve the highest possible price for any car (or cars) you intend trading in as part of any new car purchase. That’s whether you are buying a new Peugeot or any new car. Yes. Whether you’re a private buyer, a small company or you run a large fleet of vehicles, Any New Car guarantees you the best deal on any new Peugeot model – or any new car. We’ve forged alliances with Australia’s leading Peugeot dealers and Fleet Management Operations – this means you’ll enjoy the best price, and the highest level of service when pricing and buying a new Peugeot with the help of Any New Car. Peugeot is, in fact, the world’s second oldest car manufacturer. Australia saw its first Peugeot in the early 1900s. Official documentation confirming formal Peugeot distributor agreements date back to the 20’s. It was in 1949 that Peugeot was first represented nationally in Australia. Since then, the Peugeot has been a continuous part of the Australian automotive landscape. The 1953 Round Australia Redex Trial saw the Peugeot 203 victorious. This was a tough event, and it really helped solidify the Peugeot brand here in Australia. Many Peugeot models have been assembled here in Australia. Local production begun with the 203 in 1953, then on to models such as 403, 404 and 504 in the 60’s and 70’s, and then finishing with the 505 in the early 80’s. Best price new Peugeot? It all starts here. Any New Car is here to save you time and money buying a new Peugeot through a Peugeot dealer close to you. Have you decided on the new Peugeot model you’re buying? If so, Any New Car is set to secure you the maximum discount on the Peugeot model you’ve chosen. Our unmatched new car broker service ensures that you’ll get the lowest drive-away price on any new car. Our network of Peugeot contacts across Australia are always at the ready to win the business we can continually deliver to them. This means you’ll always get the best price on a new Peugeot with Any New Car.